In November 2014, PMBA conducted a membership survey as a component in its efforts to identify programming topics of interest to the membership. Many members indicated Capital Equipment Funding was important to the success and sustainability of their stations. As a result of this feedback, PMBA’s Strategic & Business Planning Committee began an initiative to provide information and a set of collective best practices for stations. After reviewing the results of a Capital Equipment Funding survey sent to the membership, the committee concluded that the range of approaches to Capital Equipment Funding by stations were vast. Without a clear identification of best practices, the committee shifted its direction to from providing a set of best practices, to creating additional awareness and dialogue around this important topic.PMBA’s Strategic & Business Planning committee is embarking on an effort to create a series of webinars on the capital equipment funding problem that faces many stations in public media. Each webinar will look at the issue from a specific angle with the intent of allowing the Q&A/conversation that comes from each webinar to build upon the content for a future webinar. Initial questions will be seeded from the results of the existing survey along with a request that will go out with the invitation to each of the webinars. Each webinar will consist of two panelists who will each present for approx. 15 minutes and will be followed by a 30 minute Q&A/discussion. A facilitator will serve as a unifying voice during the webinar and will also tie the topic into the overall series of webinars.Session 1: Planning for Capital Equipment NeedsMarch 17, 1:00 - 2:00pm ETModerator:Ron Hetrick, senior vice president, WITF Public Media CenterPanelists:Vince Petronzio, Associate General Manager, Business & Financial Affairs, KPBSScott McPherson, Vice-President for Operations and Finance, NHPRThis session will focus on different ways to plan for capital equipment needs using two stations as examples. In this session we will explore how these stations decide on the staff that participates in the process, the systems and software used in planning, and types of information and resources gathered during the planning process. What will it take to truly “monetize digital”? Before plunging into the newest ideas and innovations, what foundations need to be laid across the organization for revenue success? Greater Public’s Digital Revenue Readiness Council, a blue ribbon panel of innovative thinkers from inside and outside the system, tackled this question head-on. With a heavy emphasis on practical guidance, the Council identified actionable steps that need to be taken at the executive level to prioritize digital revenue throughout the station. Join us for an overview of the Council’s recommendations to station CEOs for high-level priorities and how to get started. 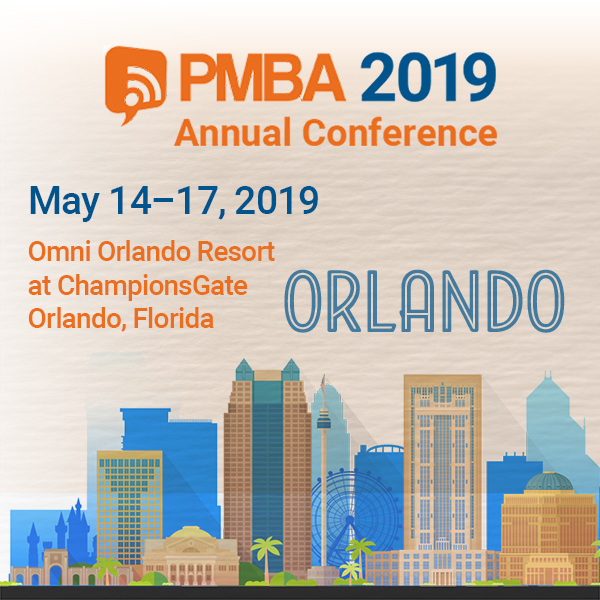 New this year, we are forming a diverse cross-section of PMBA member volunteers to serve as peer reviewers, anonymously rating conference session proposals. This is a great opportunity for you to let us know which sessions you would find most helpful or intriguing for the 2016 Annual Conference.This time commitment is expected to be approximately 1 - 5 hours depending on the number of submissions received. Reviewers may rate as many, or as few sessions, as they are able to. The review process may be completed online at your convenience.The peer review process will begin in early February and conclude Friday, February 12.For more information visit the 2016 Peer Reviewer Advisory Committee webpage. Once again, the Season of Giving is here! This is the special time when people give to causes that matter the most. Cash is KING yet stations can diversify revenue by soliciting other property that donors can and wish to give - like stock, bonds and other investments. Should the Charitable IRA Rollover be reinstated, gifts of retirement assets will also fall into this category. In order to help PMBA and PBS member stations capitalize on these year-end opportunities, PBS Development Services and a group of station partners have launched the Season of Giving Campaign. The goal of the campaign is to help stations grow major gifts (donations greater than $1000) while also helping staff manage other work and staying within budget. PBS Development Services will provide a wide range of station support throughout the campaign. The first bundle of resources will focus on securing publicly traded stock. Nearly 70% of stock contributions are made in the last quarter of the calendar year so the time is now to promote this seasonal opportunity. PBS will release customizable spots, companion print/web ads, articles and collateral materials. The full tool-kit of resources will be delivered in the November edition of the PBS Development Services Spotlight as well as the development sections on myPBS and the PBS Station Management Center.Upcoming WebinarJoin PBS for the upcoming webinar, Simplifying Gifts of Stock in 30 Minutes or Less, on October 29 at 2:00pm ET. By attending this 30 minute webinar, you will be able to explain plainly the benefits of donating stock to both donors and station leadership. Mastering these basic concepts will help put your mind at ease and make marketing a breeze.PBS Development Services invites all public media stations to join the movement to promote the Season of Giving! For questions about how the Season of Giving Campaign can help your station grow and diversify revenue, please contact Tia J. Graham, JD, Sr. Director of Philanthropy at tjgraham@pbs.org or 703.739.5760. You want a cohesive team. You’ve read everywhere that companies and teams with a strong culture, and a tradition of sharing successes and information, outperform those where employees are only looking out for themselves. But how can you build that kind of team culture in an age when job-hopping is the norm, and your most talented team members will only be there until the next great opportunity comes along? Register today for the Pubmedia Women in Leadership's Webinar on Finances for Leaders, featuring PMBA Board Members Esperanza Flury, WXPN, and Vince Petronzio, KPBS. These money-savvy speakers will provide a high-level view of what you need to know (and what you don’t) about the financials of a public media organization, and where to find information when you need it. Because of advances in technology, people now expect to receive their news in real time. An annual survey by the Radio Television Digital News Association found level growth in the number of people of color working in television and a slight decline in radio station newsrooms. One of the hardest decisions you will face in business is knowing how to handle conflict with another employee. There are times when you should just ignore a grievance...and times when it's much better to deal with the problem head on and seek resolution.